February 8, 2014 | Lens cap....off! Have I mentioned that I’m SO done with winter? As in, “Go away and don’t come back”? There is snow everywhere. I’m so tired of seeing snow. Right now everything is grey, or grayish black, or white, or whitish grey. I need color. Maybe tomorrow I’ll try to snap a male cardinal (males are red). I ran an errand with my mom today, taking her a town or two over for our jaunt. As it happens, our errand took us quite near the local airfield, and I took the opportunity to snap a picture or two. Of the whitish-grayish-world. 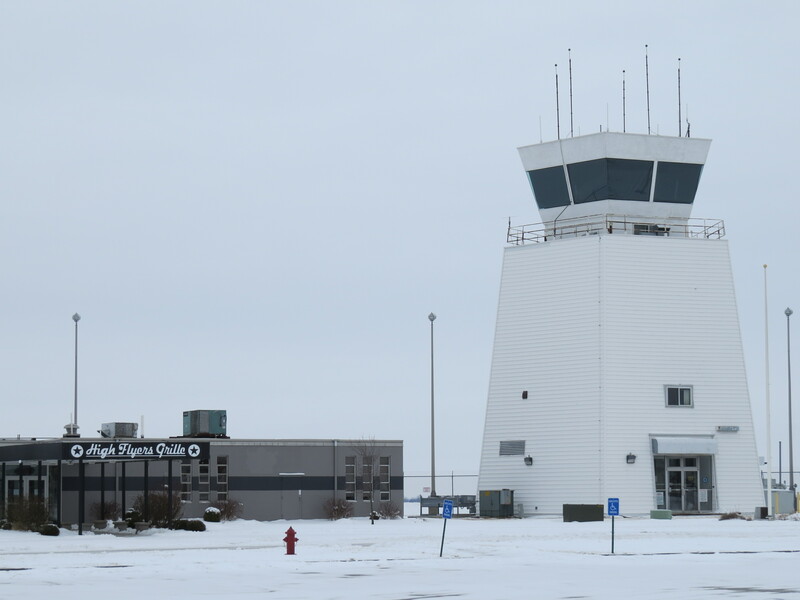 Aren’t you a cute little Air Traffic Control Tower?